Lionel Deimel’s Web Log: Marketing Opportunity? No doubt, Archbishop of Canterbury Rowan Williams is concerned about not only the structural integrity of the Anglican Communion but also its financial viability. 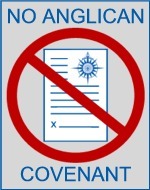 The shop might be a needed source of revenue, particular if The Episcopal Church, either voluntarily or involuntarily, finds itself beyond the loving embrace of communion with Canterbury. 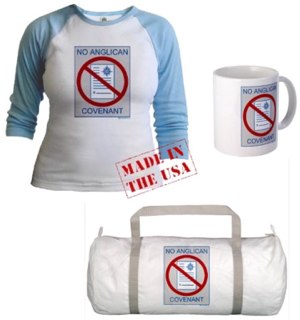 Perhaps I should inquire if the new store would be interested in carrying my line of No Anglican Covenant merchandise. I would be willing to offer products at a very attractive price.